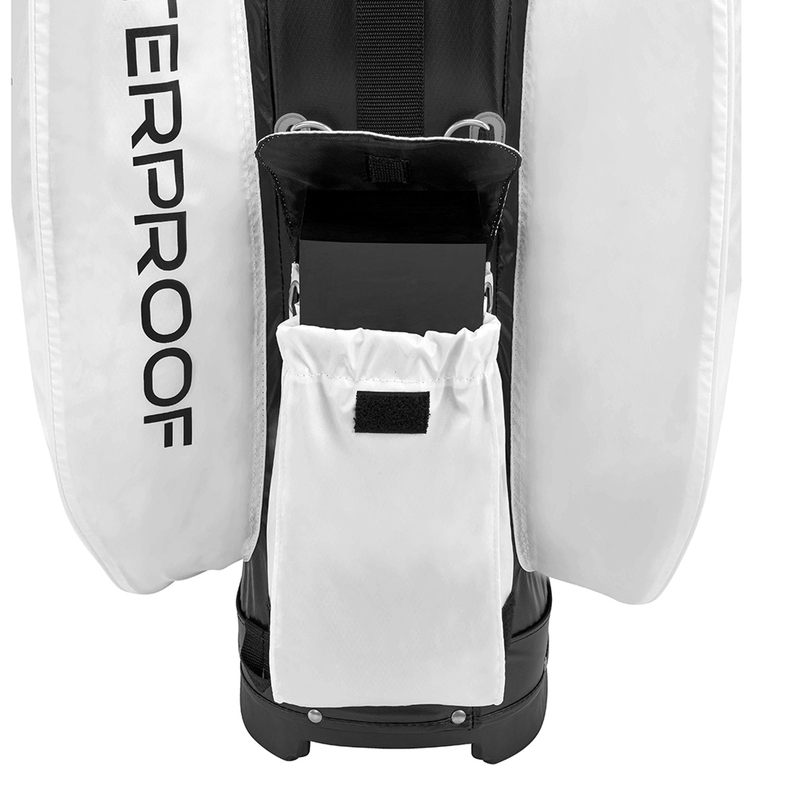 Keep your clubs protected from the rain with this 100% waterproof constructed cart bag. 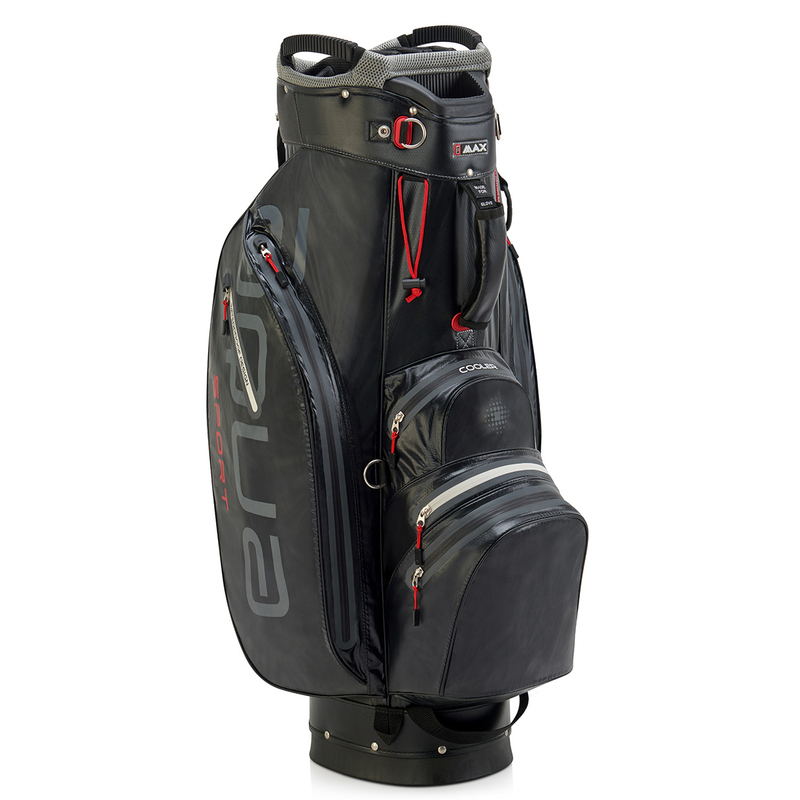 With large 14-way divider system with full length dividers to helps to organise all of your golf clubs, with dedicated putter well to make it easier and faster to select. The bag also features 7 seam sealed pockets including an oversized cooler pocket to store all of your apparel and accessories. 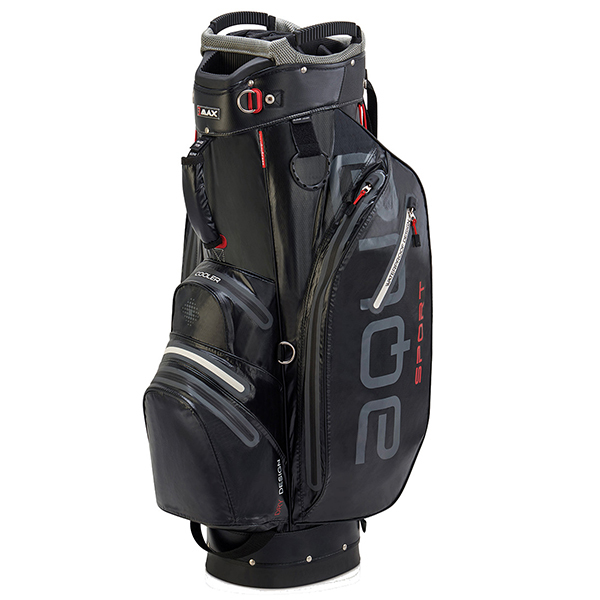 To assist you round the golf course the bag a transparent internal rain cover, and has a dedicated battery pocket. 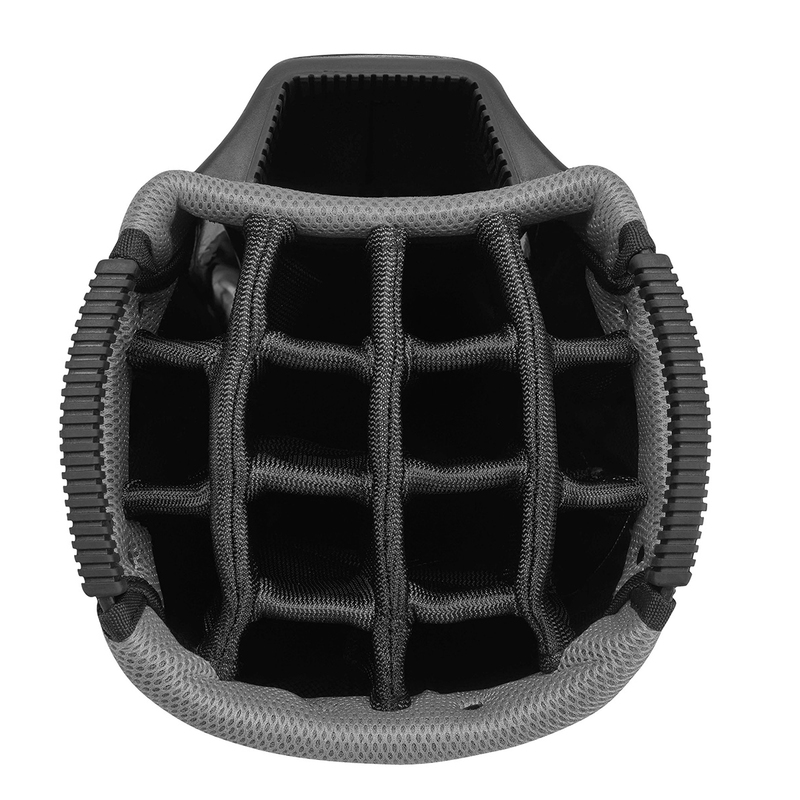 Other features include a glove,towel, and umbrella holder, and has lift assist handles for short distance carrying.